Presenting Magnolia Springs Farm - an organic retreat minutes from town & VRE. 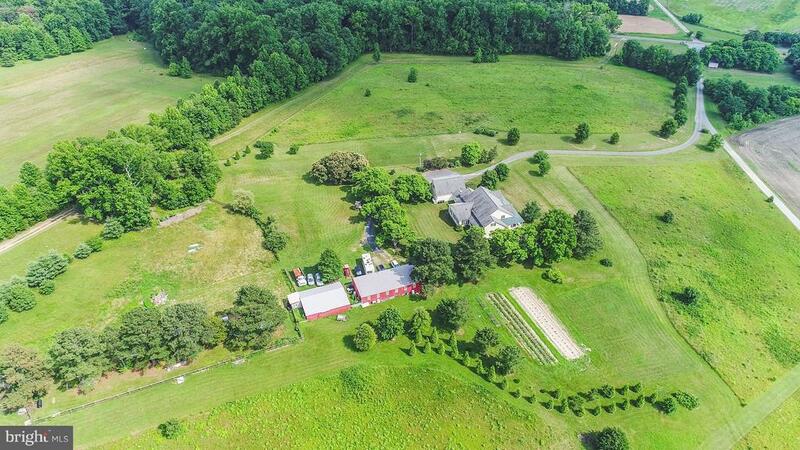 Large custombuilt farm house on 16+ acres has in-law apartment above 3 car garage (1BR/1BA). Chefs kitchen with gas cook-top, tiered island/ breakfast bar, butlers pantry, custom cabinets & farm pantry. Main level MBR opens to private porch. Natural spring-fed pond & well. 3 bay shop plus run-in shed. Welcome home! Directions: From I95, Merge onto VA-3 E via EXIT 130A toward Fredericksburg. Merge onto Kings Hwy/VA-3toward KING GEORGE. Turn left onto Forest Lane Rd. At fork in driveway take right to MagnoliaSprings Farm.